Enhance outdoor sports events with cooling, UV protecting shade. Improve game day viewing by reducing the sun’s glare. Get protection for your fans from foul balls. Because “Game On” is meant to be cool. Between the blistering heat, hot benches and annoying glare, attending sporting events can become unpleasant and uncomfortable. Fortunately, Apollo Sunguard can help. Under our custom shade structures, degrees can drop by up to 20 degrees. Plus we offer added protection against foul balls. Our industry-leading shade structures can be used to protect any athletic venue or stadium, no matter the size or shape. Shade makes outdoor events pleasant, cool and comfortable. 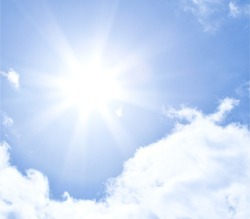 Plus, it reduces the risk of overheating and protects against the sun’s dangerous UV rays. We’re proud to offer 17 colors of fabric, which block up to 96 percent of UV rays, and 11 colors of steel. We can also print your custom logo on our fabric. 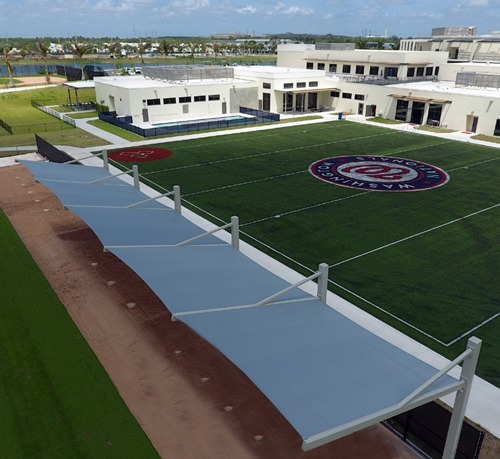 Our shade is already protecting patrons at the spring training facilities of the Baltimore Orioles, Washington Nationals and Houston Astros. 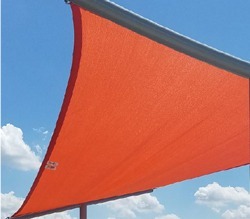 Our custom approach to shade provides each city, county, state or national park with unlimited options to enhance any outdoor recreational area. Shade is especially important for playgrounds.  Our shade can protect children from the sun’s dangerous UV rays and scorching playground equipment, which can reach more than 150 degrees in direct sunlight. 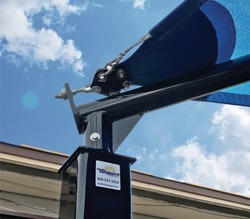 We can retrofit existing playground equipment with obstacle free playground shade. 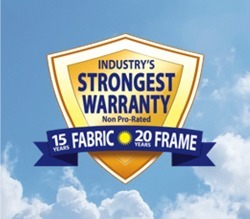 We’re proud to offer the shade industry’s leading warranty—15 years on fabric and 20 years transparency on steel. Our durable shade structures will provide years of playground fun and safety.